Best player: Of course Andrew Luck and RG3 are rare talents that only come along every decade or so, but outside of those two players, I believe Trent Richardson has the chance to be a truly special player in the NFL. He’s arguably the best running back prospect since Adrian Peterson. He runs with power, speed, and agility. He’s also a receiving threat out of the backfield. The team that ends up with Richardson will reap the benefits. Biggest bust: Obviously depending on where they are selected, I believe Ryan Tannehill and Dontar’i Powe have the highest probabilities of being deemed “busts.” While Tannehill does have the potential to become a productive quarterback at the next level, he needs a few years to ride the pine and develop more as a quarterback. Powe is what we call a “combine warrior.” He performed unbelievably well at the combine, but his production in college was lacking. He could be the next Vince Wilfork, or the next Vernon Gholston. Sleeper: As an avid Notre Dame fan, I watched most of the Irish’s game this past season, and while Michael Floyd is obviously a first round pick, a player I think could be a very solid contributor at the next level outside the first round is safety Harrison Smith. Smith has ideal size for the safety position and has good instincts. He’s a high character guy and was the captain of the Irish defense for 3 years. Chiefs pick: If Kansas City doesn’t trade down, I think the pick at 11 will be David DeCastro. DeCastro is possibly the best guard prospect since Steve Hutchinson, and with the addition of DeCastro, the Chiefs could have one of the best offensive lines in the NFL. With a healthy Jamaal Charles and a determined Peyton Hillis, the Chiefs would be well on their way to leading the league in rushing as they did in their playoff season of 2010. 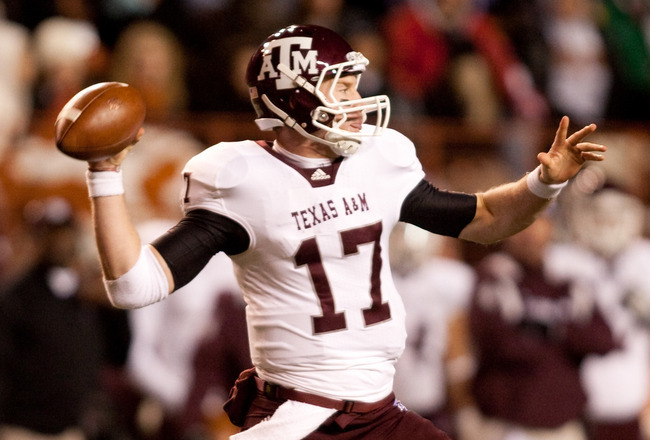 Bust player: Ryan Tannehill from Texas A&M has by far the most bust potential. First, Tannehill has only started QB for only 19 games. Tannehill ran a pro-style, West Coast offense under Mike Sherman, a former NFL head coach. Tannehill has mobility, he was athletic enough to play wide receiver during his first two seasons at Texas A&M. However, Tannehill’s lack of experience as a starting quarterback could make it difficult for him to have instant impact. Teams are going to jump on the bandwagon of Tannehill because of the need for a franchise quarterback. He is not the answer! 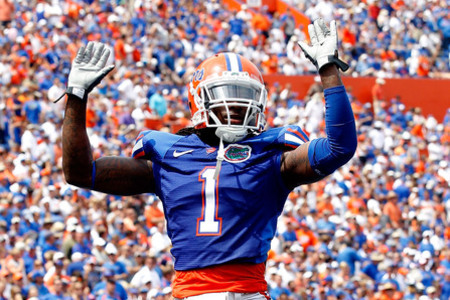 Sleeper: Janoris Jenkins is the best at man coverage of all cornerbacks in this draft class. While he may not be the best corner, he will surprise people if he can stay on the field. After being labeled as a pothead at the University of Florida, Jenkins has had to battle to gain a good reputation. While he has yet to gain a good reputation, he is an elite corner. If drafted by the right team, Jenkins can have the same effect Joe Haden had with the Cleveland Browns. 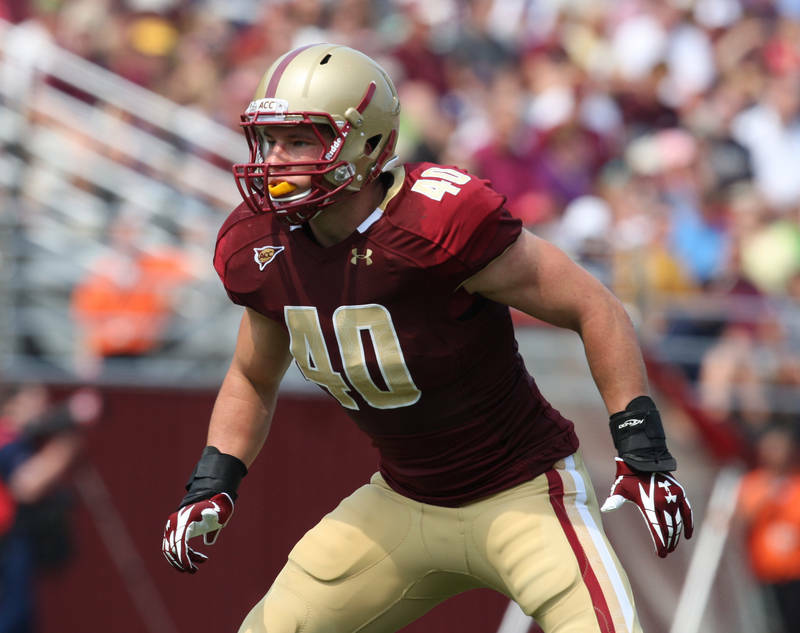 Chiefs Pick: Luke Kuechly, Line backer from Boston College. Kuechly is the best linebacker in this draft class. He has extremely great instincts that help stuffing the run. At Boston College, he managed to record over 200 tackles his senior season. With one of the Chief’s needs being inside linebacker, Kuechly can step in and contribute immediately. He would an outstanding fit in the Chiefs system because of his great flow to the ball. Bust Player: Dontari Poe has the biggest but potential of and player in the 2012 NFL draft. Dontari has bust potential because he didn’t dominate in a weak C-USA conference. Also, Dontari before the combine was considered a fringe first round pick and after the combine he was considered a top ten pick. Dontari dominated the combine measuring at 350 and running his 40 yard dash in the 4.9’s and showed amazing athleticism for a man his size. Another concerning part of Dontari’s game is his hot and cold motor he shows on the field. Dontari will often flash brilliance one play and then for the next ten plays he will disappear. However, Dontari has the highest upside of any player in the draft, but with high reward also comes high risk. 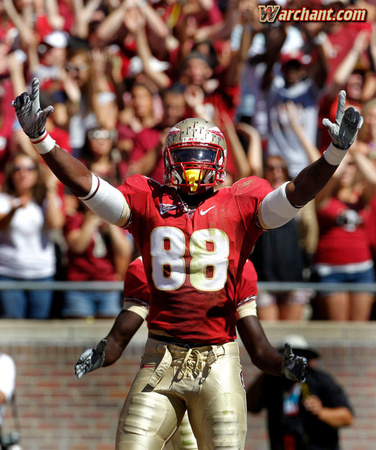 Sleeper Pick: My sleeper of this draft is Beau Reliford a tight end from Florida State. Beau is a former basketball player who actually came to Florida State on a duel sport scholarship. Beau is a big measuring in 6’5’’ 256 pounds and is incredibly athletic. Beau shows a good burst off the line of scrimmage and is a good pass catcher. The only problem with Beau is he isn’t a very good blocker. However, Beau shows great potential as a blocker with a big frame and is strong, but sometimes he plays soft and gets dominated at the point of attack. If Beau is able to become a good in-line blocker he could become one of the better tight ends in the NFL which isn’t bad for a 5th or 6th round draft pick. Chiefs Pick: In my eyes the Chiefs should play it safe and draft David DeCastro. David is the best guard prospect in the last 10 years. David projects as a starting NFL guard who will be a pro bowler for many years to come. If the Chiefs draft DeCastro, the interior of their line will be set for the next 10 years. Also, David fills a position of need and should immediately start in front of Ryan Lilja. He will help to Chiefs to regain their potent running attack from 2010. In any other year, Ryan Tannehill would be consider a late second to mid, maybe even late, third round pick as a quarterback. But because there this years quarterback pool is shallow, scouts are coming up with more BS about Tannehill than a east Texas Rodeo bull pin. I do not see what the scouts are seeing in Tannehill. He had a mediocre career at a often times overrated and under performed Texas A&M team as a quarterback after spending two years as a flanker. Looking at his film, you can tell scouts want to believe that Tannehill is the guy. I heard one scout say, “Tannehill has the height that prototypical NFL quarterbacks have.” Really? Is that the only thing he has going for him? His arm is average, accuaracy is below average, his best attribute is his athleticism due to his stint at wide receiver. Miami will get him and I think they will regret it later on. Weeden will be 28 when the NFL season kicks off and that is why many have backed away from picking him earlier than is projected. I actually see his age being a huge positive. For one, he 28 and married which means maturity is not a problem. He can come in and unlike a 22 year old rookie quarterback, he can come in and demand a huddle instantly because he is not a young hot shot coming in. Secondly, Weeden can play football!!! He has a great arm as far as strength and accuracy and he showed great command of the Oklahoma St. offense in Stillwater. I believe if it was not for his age, Weeden would replace Tannehill as the third best quarterback in the draft. I also like Michigan St. quarterback Kirk Cousins. He showed an uncanny ability to lead his team throughout his tenure in East Lansing. I believe beyond Luck and RGIII, Cousins is the third most ready quarterback to run a pro offense in the draft. Look for either one of these guys to be picked up between the second and third round. I mean he is a stud, period. With Derrick Johnson already in the middle, you add Kuechly to the mix and you bring in a tenacious tackler and playmaker from sideline to sideline. I would not mind Stanford guard, David DeCastro, but I think Kuechly is one of the more sure things in this years draft. This entry was posted in Football, Football, Home, Midwest, National and tagged David DeCastro, Janoris Jenkins, Kansas City Chiefs, Luke Kuechly, NFl Draft.